Senior PR professionals have criticised the Conservative Party for auctioning five internships, including a week at Bell Pottinger, to well-off supporters. The Mail on Sunday revealed that the £400-a-head Black And White Party (formally known as a ‘ball’) raised £14,000 auctioning the internships, provoking questions of privilege and access to jobs. According to the Mail, a one-week internship at Bell Pottinger, run by former adviser to Margaret Thatcher, Lord Bell went for £2,000. 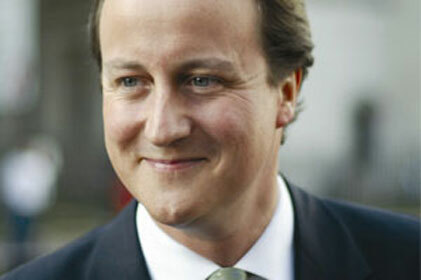 The revelations come as David Cameron seeks to defend his floundering Big Society idea. PR professionals said the revelations undermined the Big Society, which is aimed at empowering local people and communities. Sacha Deshmukh, chief executive of MHP Communications, said the timing of the revelations was ‘particularly unfortunate’ for the Tories. ‘Given that one of the examples of Big Society in action that No 10 raise is the future provision of benefits and jobs advice by government and charities working together, it is particularly unfortunate for them to have the question of privilege and jobs raised in the week they are having to have to defend the Big Society concept as a whole. James Tyrrell, director, Insight Public Affairs, said: ‘This certainly missed the mark and shows how the fundraising of a party needs to be more closely scrutinised for the potential of PR gaffes when in Government, especially at headline events like the Black and White Ball, which always picks up tabloid coverage for one reason or another. Jon McLeod, chairman, corporate communications & public affairs, Weber Shandwick was also concerned about the impact on access to internships. ‘Making people work without pay while interns is a breach of the National Minimum Wage Act. That is why Weber Shandwick provides paid internships. Internships are seen as a step on the career ladder. Clearly, to get them on your CV as a young person is an advantage.